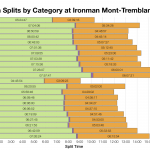 Third and final race analysis for the week: Ironman Mont-Tremblant. This year’s race has bounced back to its usual field size, comfortably in excess of 2,000 athletes. It offers the standard 40 age group Kona slots on a moderate to slow course. This year’s race looks to follow similar trends to previous years. 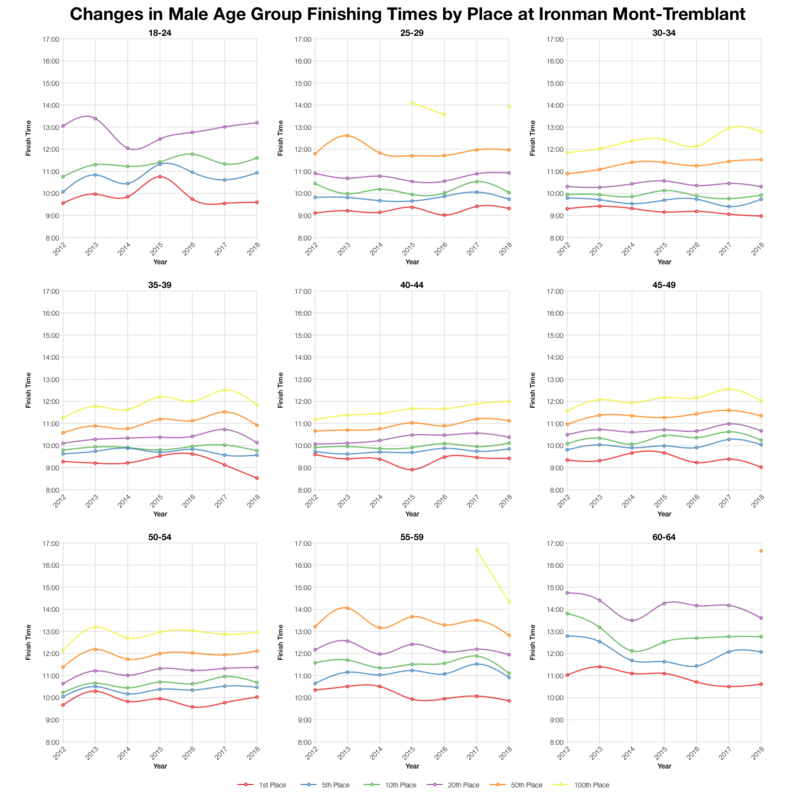 The bike and run distributions for this year’s race trend slightly slower than the results from the previous 6 years. 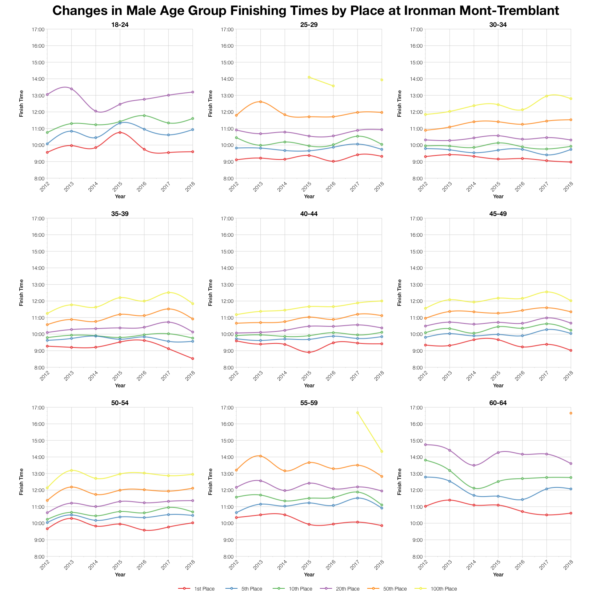 Not a huge shift, but enough to also shift the overall distribution back by 10-15 minutes at the median. So perhaps a slightly slower year, but nothing exceptional. 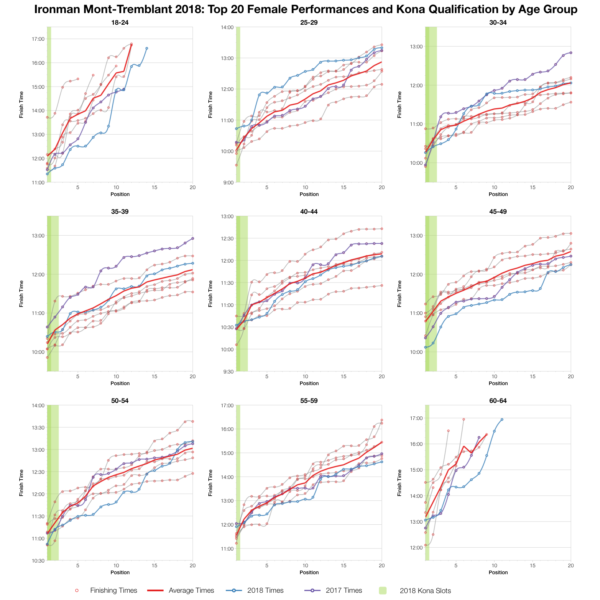 DNF rates for this years race look to be mid-range. Perhaps a little higher than usual on the bike, but not by much. This year’s race appears to be a normal day on the Mont-Tremblant course. As is often the case when there’s only a small difference in results distributions there’s also no strong pattern in age group medians. 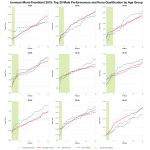 Generally we can see slower run times this year but most medians simply vary from previous results by a small amount. 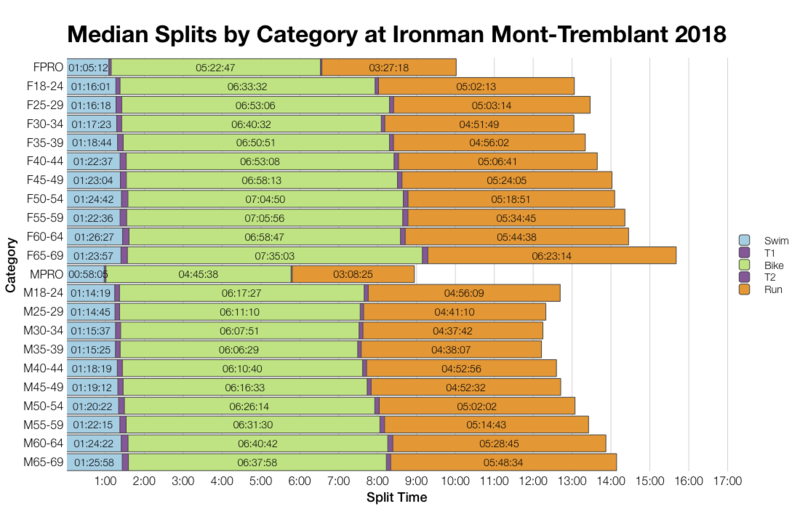 The field in Mont-Tremblant is largely drawn from North America and that’s where the Kona slots tend to stay. 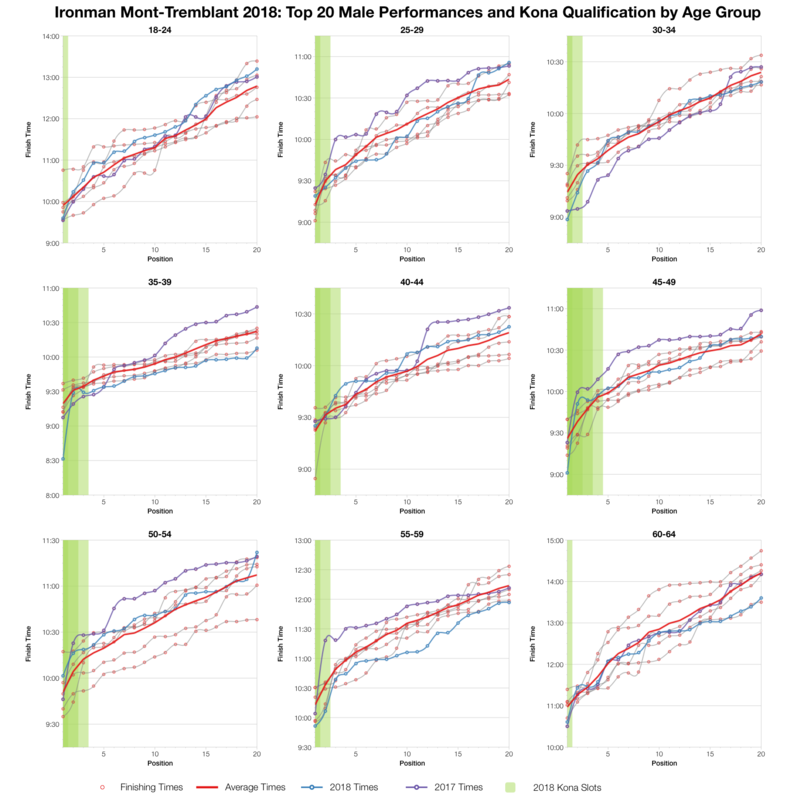 Again we have a lot of variation as we look at specific age group positions at this race. While the distributions slowed not all athletes were slower. Looking over the span of 7 years times generally fall in line with past results. Based on start numbers I’ve estimated the allocation of Kona slots and from that the automatic qualifying times in the results. Final numbers may vary and roll down will also influence qualification time. 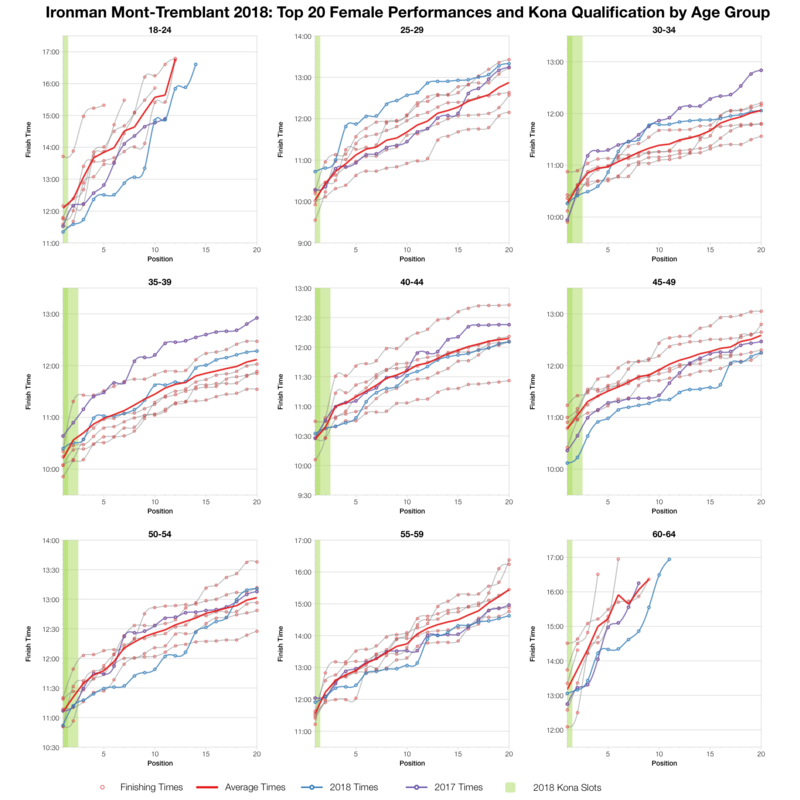 You can compare with other Ironman races on my Kona qualification page. Again without a strong pattern to this race’s results we see quite a lot of variation among the age group top twenties. 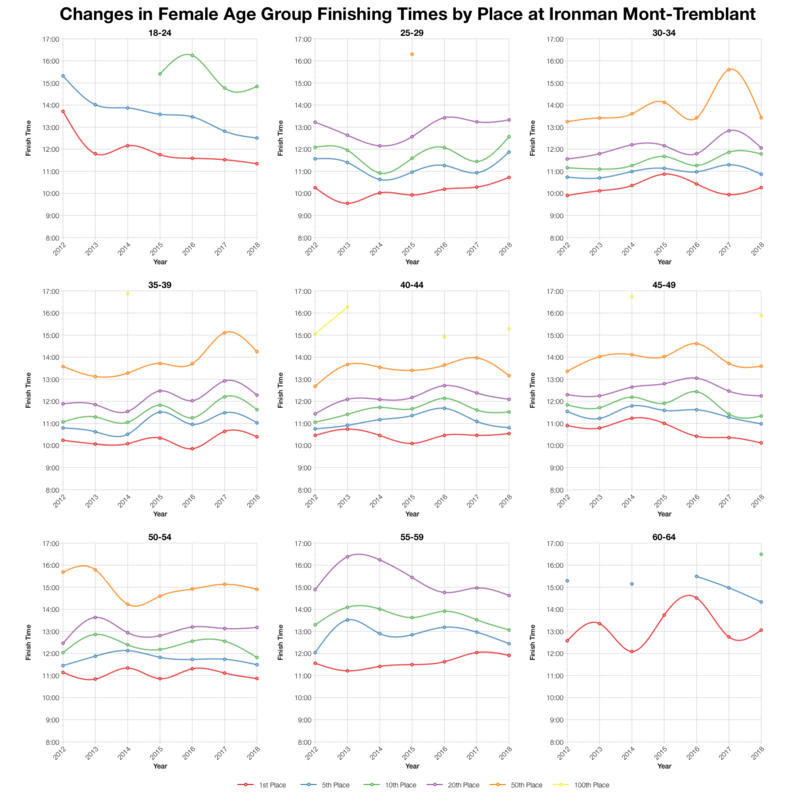 Generally times lie around the average, but a few age groups produce a much faster or slower year. 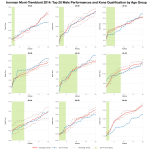 When we consider the biggest age groups – men between 30 and 50 – the times hold close to the averages. 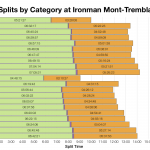 You can access a spreadsheet of the full results from Ironman Mont-Tremblant 2018 on my Google Drive.